Helming the role of a senior comms director for six years, Pickup was in charge of leading the communications for Microsoft in Asia. He covered the Asia Pacific region, as well as Japan, India and China. According to his LinkedIn, his responsibilities included managing all media relations, analyst relations, internal and executive communications, crisis and change management and government/citizenship outreach. He was also managing the regional team in Singapore and led a community of 40 communications professionals across 17 countries in Asia. Previously, Pickup was chief marketing and operations officer, a role he held for five years focusing on the ASEAN and ANZ markets. He was responsible for the revenue, market share and P&L performance of all Microsoft Business Groups for the Asia Pacific region and the overall orchestration of regional go-to-market sales, marketing and services plans. Pickup also oversaw the long-term growth planning, the management of the regional core business processes – business and marketing planning, target setting, marketing budget management – market intelligence, competitive initiatives, integrated marketing communications and public relations. He had a team of 32 reporting directly to him. Prior to this, he was chief of staff, Microsoft Asia Pacific, for over two years. The role tasked him to establish core process infrastructures to support executive decision-making(fiscal-planning, process-management, governance and operational models) and manage large-scale projects (geographic expansion). Before this, in 2003, he was chief marketing and operations officer of Singapore operations. 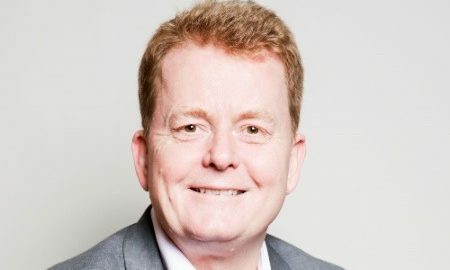 Some of his previous accolades with the company include head of desktop marketing, group marketing manager and relationship marketing manager in the UK. Before joining Microsoft, Pickup had a stint with Saatchi & Saatchi in 1988. Helming the role of senior account director, he was responsible for maximising revenue, profitability and client satisfaction from existing blue-chip accounts, as well as identifying and winning new business. At that point in time, he handled clients such as British Airways, Vodafone and Avis. She joins the company from HeathWallace where she founded the user design business for Asia Pacific. .. The two will remain in the industry. ..
Moet Hennessy Diageo Hong Kong has appointed Weber Shandwick as its local public relations agency on a retainer basis. ..
Sa Sa collaborates with Taobao Global to develop a complete loop retail ecosystem, connecting Taobao Global buyers to Chinese cons..